For many parents, back to school means a little breather for the next few months. The months between August and May can cause some serious clutter and create mayhem in the house, in just a few weeks. 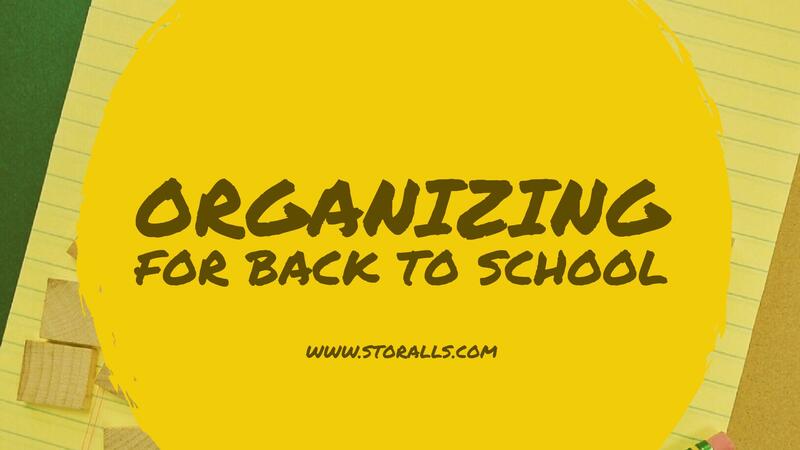 Below we provide some helpful tips for getting your house organized and keeping it that way all year long. Every morning it’s the same story. You and the kids can’t seem to find anything you need. This is the perfect opportunity to get organized with the school lunch. One great idea is to start a ‘self-serve’ station where all items inside and the outside the fridge are organized so that the kids can just grab them and go. This includes all food items, utensils, napkins, and containers. Designate a special place for them and keep them there. If you’re like many households, you probably have an office somewhere in the house. This may also be where the kids do homework and get on the computer. Again, organization is designation. Create files in the file cabinets just for the children. Designate certain folders on the computer desktop for them to dump their assignments. What about wall shelves or containers to hold paperwork? Assign a couple of shelves in the desk just for them. Keep all their supplies in those shelves. Is there a closet in the entryway of your house? That would be the perfect place to keep shoes, coats, and other clothing items that your kids will regularly use day after day. Build or buy some cubbies and label them for shoes. Add some drawer or shelf space for gloves, scarves, or hats. Put some hooks on the back of the door or install a hangar bar for the coats. By keeping all their daily garb in one place you will have an easier time finding them as well as reduce the amount of dirt that is tracked in. Stores offer great back-to-school deals that can save you hundreds of dollars the rest of the year. Now is the time to stock up on paper, pencils, folders, and other important supplies. Once you’ve gathered everything they’ll need, then find a large drawer or closet space to put it all in. You’re just relieved yourself of multiple trips to the store throughout the school year. You’ve also pocketed a little extra cash to spend on other things. School is about planning. You have an onslaught of activities headed your way, and if you don’t put them in the calendar it could cause you and your family a lot of stress and headache. The solution? Get a large, easy to read, and easy to fill out planner that the whole family can use. Lay down some rules for last-minute announcements and stick to the plan. The planner needs to be large enough for event details. If you hate paper, then find an easy to use app on your computer that can be configured with your smart devices. 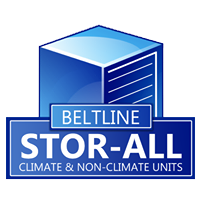 If you have any questions about available storage space for large gifts, household items, appliances, boats, or RVs, contact Stor-All today. We provide all types of solutions for home and business owners in Mobile, Alabama and the surrounding areas. Call us today at 251-343-6999 OR 251-660-0366 and reserve your storage unit! Check out Beltline and Security on Facebook, or visit us online at www.StorAlls.com!